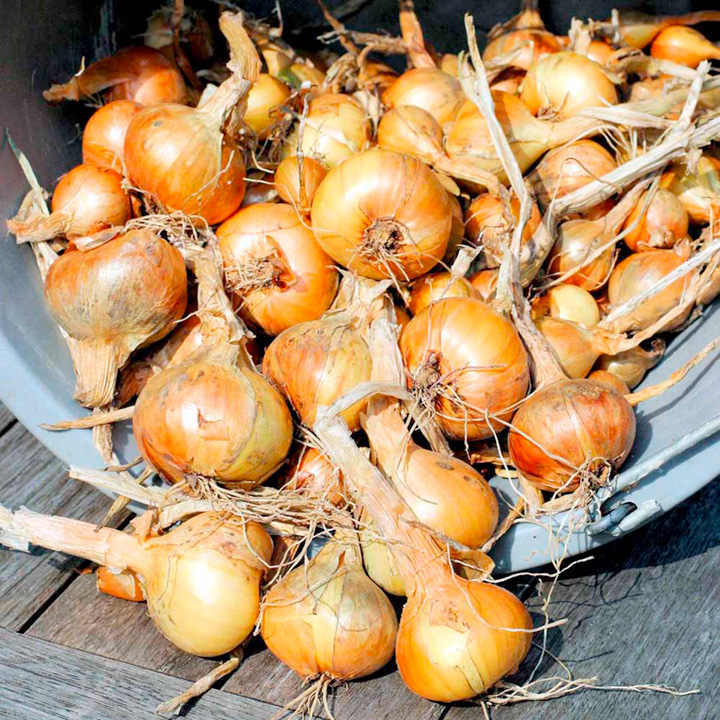 This superb variety will consistently produce heavy crops of good flavoured shallots that keep well for several months. Plant from February onwards.. A great beginner variety. Unpack on arrival, and spread out in a cool, light place. Plant from the suggested dates onwards as weather conditions permit. Allow approximately 30cm (12") between rows and 15cm (6") between bulbs. Lift crop when leaves turn yellow, dry in sunshine, and store under cool, dry frost-free conditions. 400g of shallots (approximately 15-20 bulbs) will plant a row of about 3m (10'). Full growing instructions included.